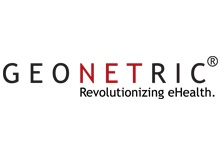 Geonetric helps healthcare organizations develop web strategies that engage consumers. Geonetric didn’t set out to become a freedom-centric workplace. We set out to build a workplace culture that empowers employees and promotes their well-being. And along the way, we’ve found that employees who feel they are valued and trusted produce better results for our clients. Our employees are financially savvy and they understand our financial goals and how their team’s work contributes to Geonetric’s overall success. Our employees also understand our clients, their needs, and the ever-changing healthcare market. Because teams are able to organize, prioritize, and manage their own work, they deliver value to our clients faster than ever. The people closest to any problem are the ones who are responsible for solving it. We’ve realized higher employee satisfaction and higher client satisfaction since practicing freedom at work. Our teams are driven to produce real value for our company, from the bottom up, not the top down.